Since 2007 the financial burden of running the rail system has increasingly fallen on passengers. Many commuters have seen their season tickets go up by more than £100, while campaigners and unions warn many people were being “priced off” UK railways. Andy McDonald, the shadow transport secretary, said the railway network was “fractured, expensive and complex”. The Department for Transport said price rises were capped in line with inflation and improved the network. Fare increases to regulated fares – which comprise about half of all tickets – are calculated using the previous July’s Retail Prices Index (RPI) measure of inflation. 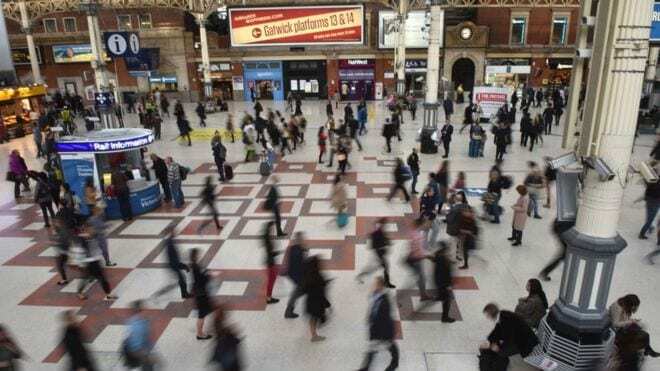 Since 2007 the financial burden of running the rail system has increasingly fallen on passengers, after the government decided taxpayers as a whole should pay less via subsidies. As rail fares rise more of us are joining the so-called £5k commuter club – workers who pay that sum getting to and from work each year. The £5k club’s growth is in part due to people travelling further and longer to get to work. And is based on purchasing an annual ticket with the maximum discount. Many people who buy quarterly tickets already break the £5k threshold.